Ping pong lovers can now take their favorite sport with them wherever they go! This newest addition to our growing line of desktop sports mini kits contains all you need to get a competitive ping pong game going in minutes. 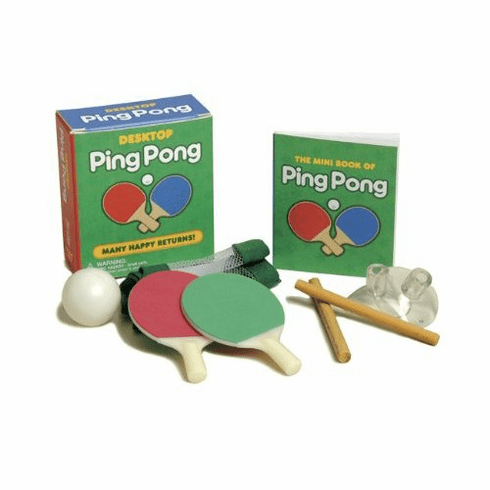 Included are two mini paddles, easy-to-assemble desktop net, one ping pong ball, and a 32-page booklet that provides history, tips on game play, and fascinating trivia surrounding this popular sport.